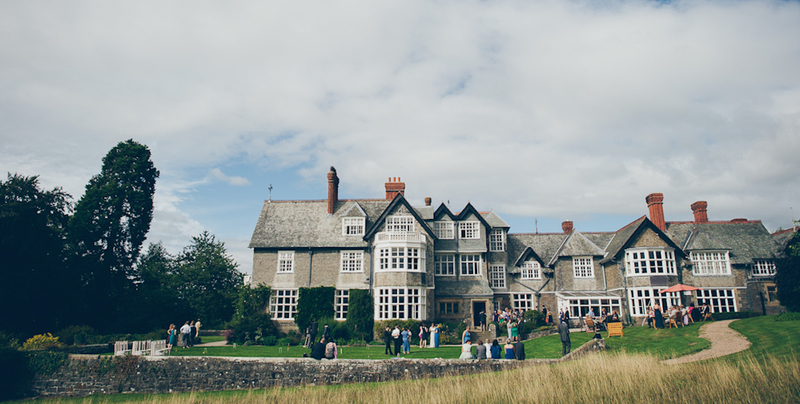 If you are looking for a truly beautiful house in which to get married, but also to spend the best weekend of your life with family and friends, look no further than Plas Dinam. 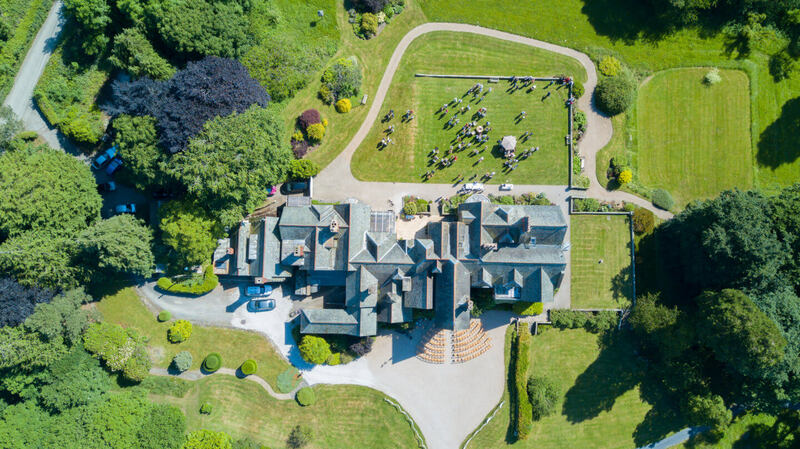 Set in spectacular scenery in Mid Wales, Plas Dinam is a beautiful mansion with a unique Old Stables party barn. Friendly and family run, you have the freedom to make the house your own over your wedding weekend, choose your own suppliers, bring your own drinks and party the night away in the Old Stables. 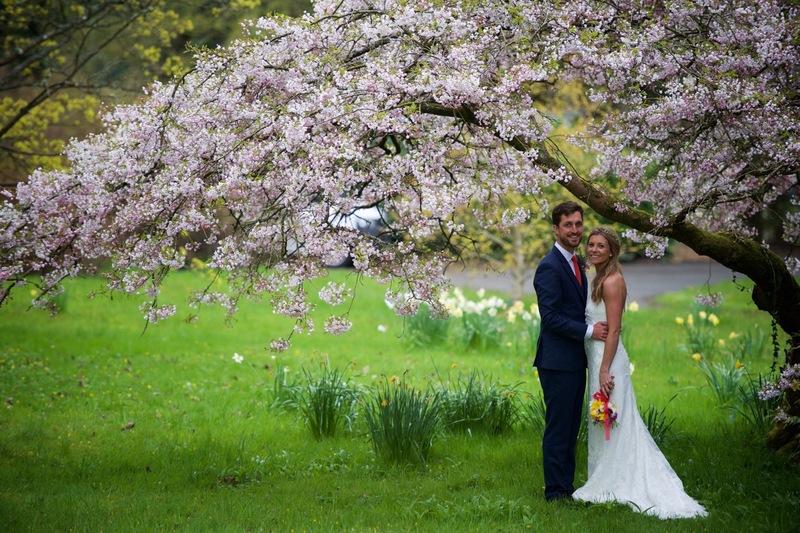 Plas Dinam is all about a relaxed, happy and above all, fun wedding. Indoors or outdoors there are great options for getting married. Licensed for a civil ceremony for up to 80 guests, the drawing room is a beautiful and elegant, light filled room. The hall is another great option for up to 120. 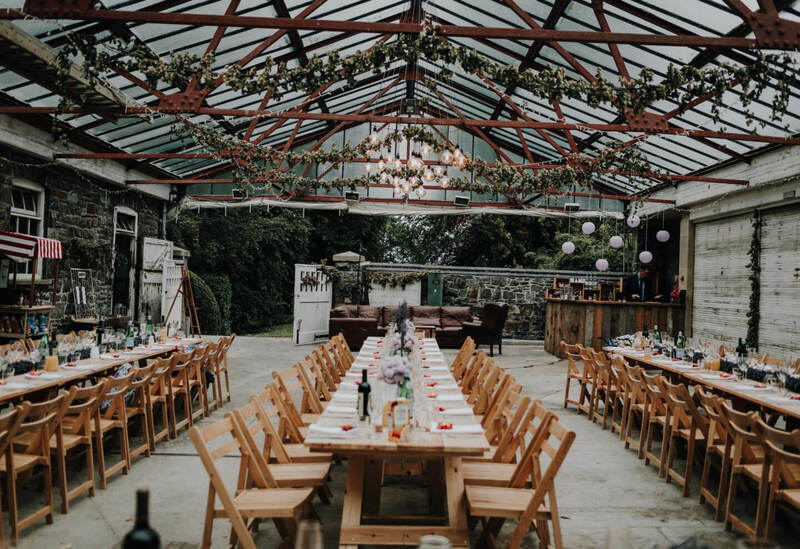 If you’d prefer an outdoor wedding the ceremony can take place under the lovely entrance, with guests seated outside admiring the front of the house, and if it rains up to 150 can be seated at the Old Stables. St Llonio’s church in Llandinam is a lovely church set up on a hill with gorgeous views and there is also a beautiful chapel. Plas Dinam’s lawns and gardens are wonderful for canapés and drinks with amazing views. The living room and drawing room have big windows over looking the lawns for those that would rather stay indoors, or plenty of space for everyone on a rainy day. 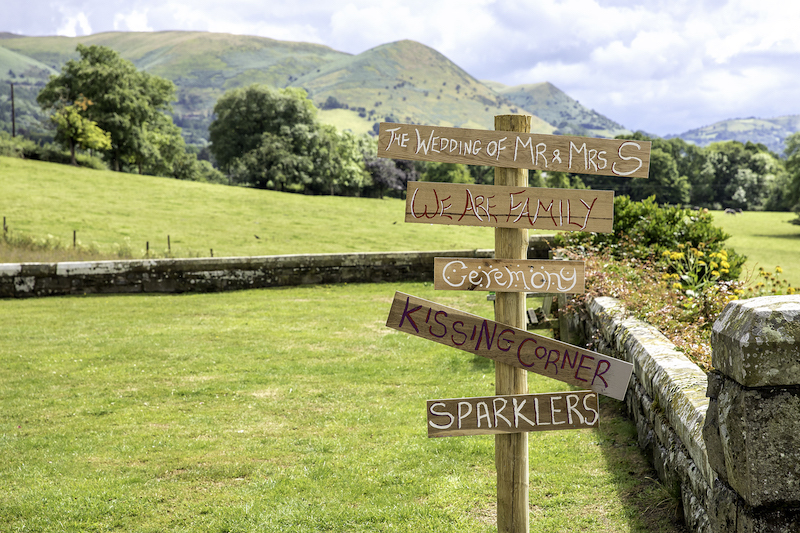 The wild flower meadows are a stunning backdrop, your photographer will be in heaven. You can supply our own drinks and we don’t charge corkage or we can provide, it’s up to you. The recent renovation of the Old Stables with fab new lighting, glass roof, heating and quirky loos, has created a unique and exciting space for wedding receptions. The dance floor is surrounded by original tiles that reflect light and add a beautiful oak floor and you have just the space to party away! Up to 160 can be seated to dine here and it is also perfect for weddings of about 80-120. We have a trusted suppliers list so you can choose your own caterer, florist etc or DIY to create your own unique wedding. We don’t hold weddings in the Stables between October and March, but this is a wonderful time for an intimate and cosy wedding using the house. Weddings for up to 60 are lovely using the drawing room for a ceremony, canapés in the big sitting room, feasting in the dining room, then dancing the night away in the drawing room. When you book Plas Dinam you get the whole house and grounds for at least 2 nights, more if you’d like. Plas Dinam has15 lovely big bedrooms sleeping up to 34 of your nearest and dearest. Billiards, table tennis, lovely walks, a sociable kitchen, a bbq, fire pit, you’ll have lots of fun! 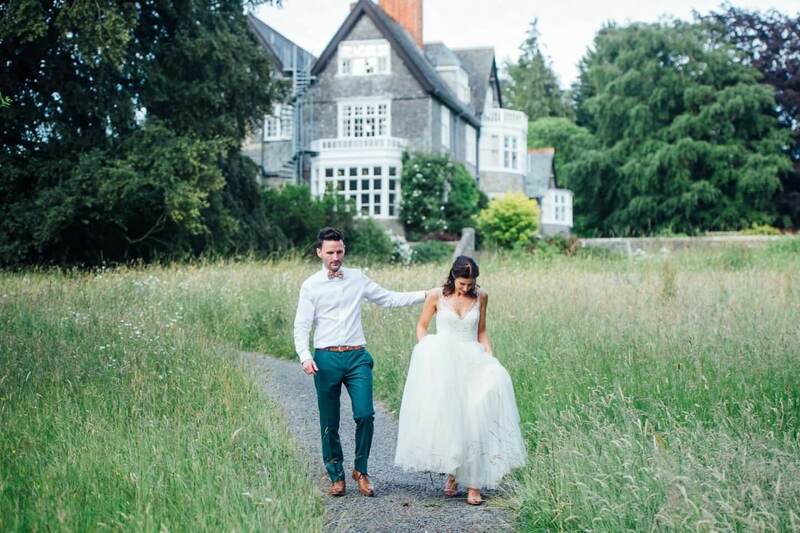 “Whilst we have no particular family/ancestral ties to Wales (we’re from London), we chose Plas Dinam as our wedding venue because it seemed to offer everything we wanted from our day. When it came to the day itself, it completely exceeded our expectations. 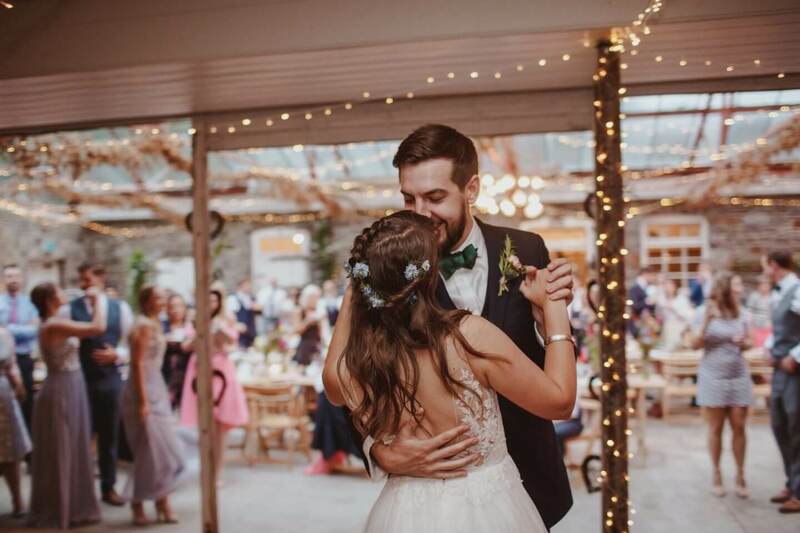 Eldrydd and Tyson own and run this stunning venue in the midst of the rolling Welsh hills, and were a fabulous help in the run up as well as during the wedding itself – both present as well as tactfully invisible, they judged it perfectly. 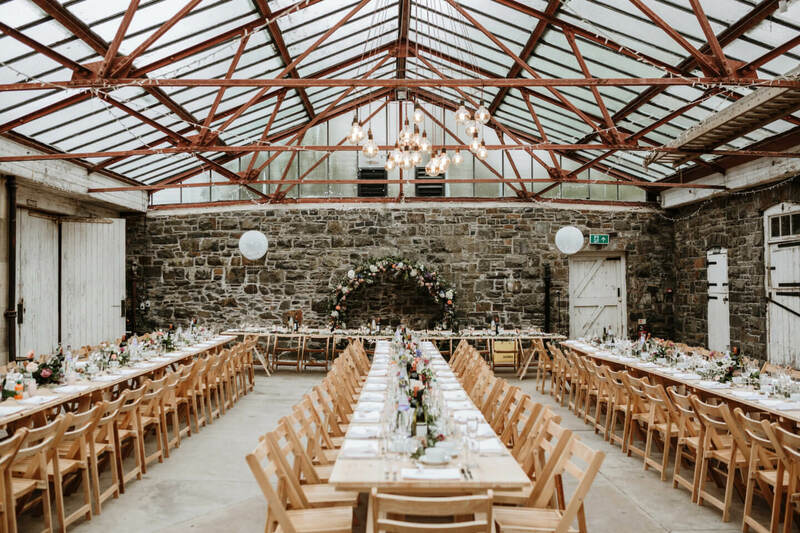 What appealed to us about Plas Dinam was the DIY nature of it – this is not a venue who pump out wedding after wedding every weekend of the year and tell you what to do, so there’s lots of room for you to stamp your own mark on it. 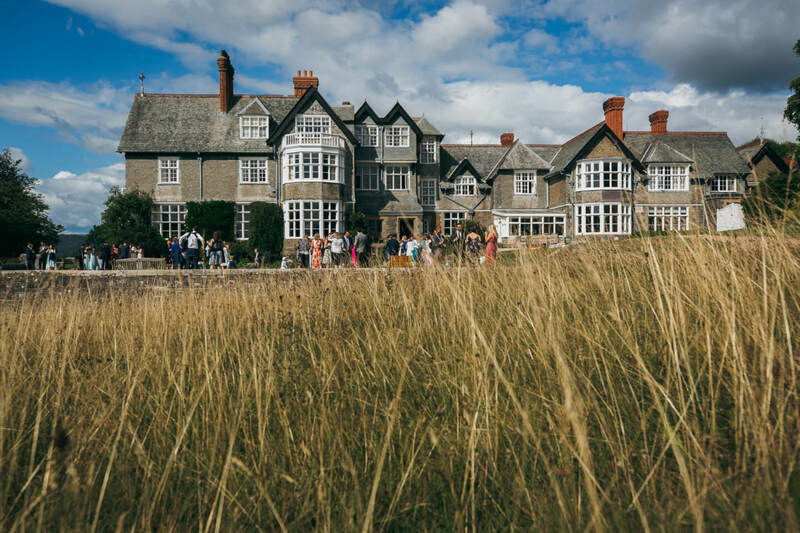 We recommend viewing these wedding videos to see Plas Dinam in action. Watch Ben & Anty’s Spring wedding video for inspiration and ideas!